Today I received an email from Alistair Hall, who had noticed our metal lettering stencils have a very particular feature of an angle at the end of the letter. He has been trying to discover the origin of this distinct lettering style and wondered if we could help. This query forms part of Alistairs process of documenting and researching the street nameplates of London. 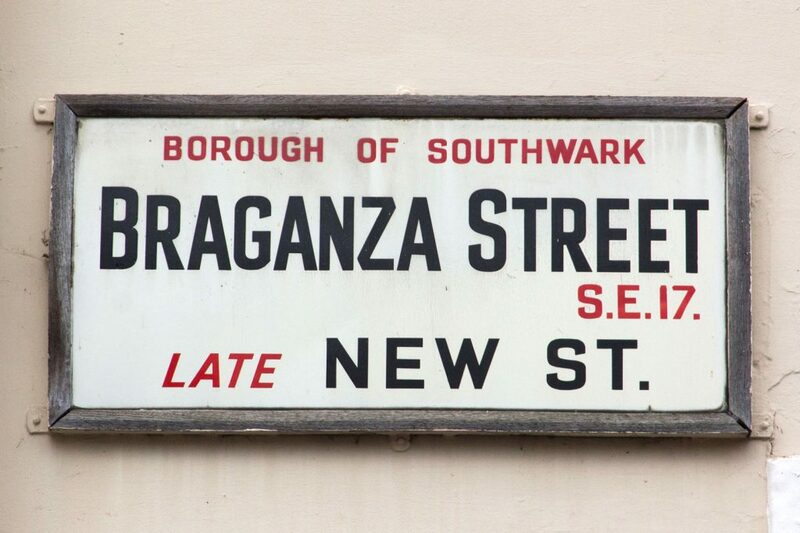 The Instagram account Londonstreetnameplates has captured many of these signs and is well worth a look. Sadly, our stencils are based on Helvetica Medium and the supplier could not give me any more information about why they have an angled terminal. If anyone happens to know a little bit about where this lettering may have originated please let me know, or tell Alistair through the Instagram.